Ranch Style home in Ridgeview Glen. This Pulte home features three bedrooms on the main level along with laundry facilities. There is an upper balcony with a roll-out awning for those hot, summer days. The full finished walk-out basement includes a game room, hot tub and family area already wired for surround sound, cable and a large, additional bedroom. 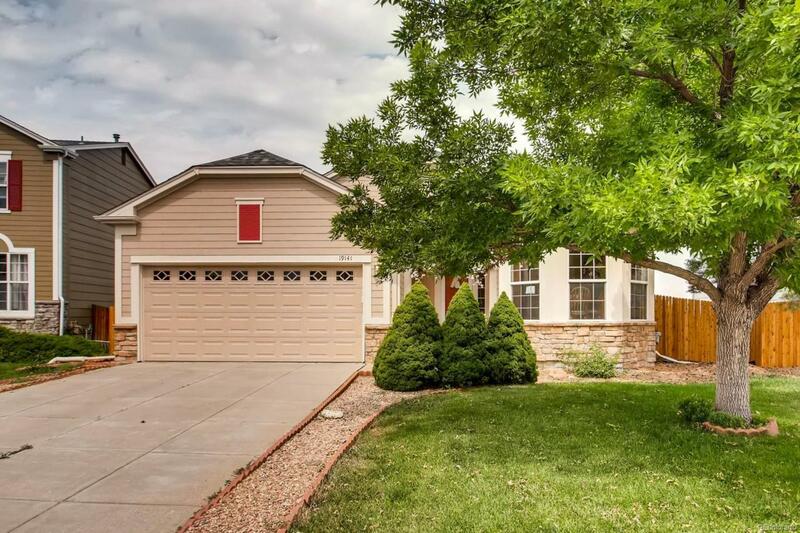 This home boasts easy access to DTC, Buckley AFB, E-470 & is also located in the Cherry Creek School district. Looking for a large kitchen? This home has 19 cabinets with eating space located inside the kitchen itself. In-ground sprinkler system, Central Air Conditioning, composite shingle roof and mature landscaping round out this move-in ready home. Not shown is a 10 x 17 patio and the Hot Tub in its own 10 x 22 room! Although not active, a burglar alarm system is installed. Wow....so much home for the $$. Call for your private showing today!